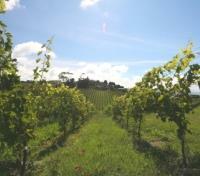 Sample award-winning reds on Waiheke Island, famed for its wineries. 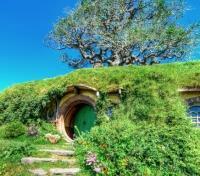 Visit a pair of otherworldly spots near Rotorua: the Hobbiton Lord of the Rings set and Waitomo Glowworm Caves. 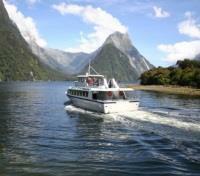 Cruise the serene fjords of Milford Sound. Take a helicopter-assisted hike on the massive Franz Josef Glacier. Beloved for its vast landscapes and larger-than-life experiences, New Zealand is the rare place that can accommodate any dream, no matter how wild. This bold adventure across the North and South islands merges spellbinding scenery, once-in-a-lifetime encounters with extraordinary places, and even a dash of Middle-Earth with luxurious best-in-town hotels and all kinds of special twists. Experience life on the waterfront at a 5-star Auckland hotel, blending Sofitel’s French chic and the pure beauty of New Zealand’s capital city. 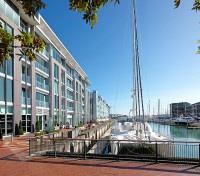 Sofitel Auckland Viaduct Harbour welcomes guests with a heartfelt Bonjour! The stylish Auckland luxury hotel places guests in the heart of Auckland Central between the upscale Viaduct Harbour lifestyle development and the attractions of the new Wynyard Quarter. 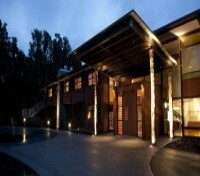 Its understated elegance overlooks the shimmering Waitemata Harbour. Each luxuriously 172 spacious room and 4 suite features a private balcony floor-to-ceiling windows and 5-star indulgences from the unparalleled comfort of the Sofitel MyBed to marble bathrooms with both a rain shower and deep soaking tub. During your stay at Treetops Lodge, a range of included activities will be offered to you. 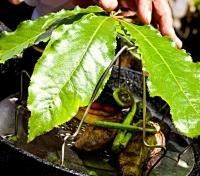 Depending on the lodge’s schedule of activities, prevailing weather conditions and your personal interests, you will have the opportunity to participate in an ‘estate to plate’ culinary experience, a ‘wild food cooking school’ where you will forage for native ingredients and then return to the lodge to learn how to masterfully cook them, a tour that follows the Maori Indigenous Food Trail, or a ‘five-star kids program’ that features a range of exciting, youth-themed activities. Prepare yourself for the thrill and excitement of the ultimate jet boating experience with the world famous Shotover Jet; it's a unique, breathtaking white water ride and an adrenaline rush you'll never forget! From the moment the accelerator hits the floor your adrenaline hits the roof as you speed in mere inches of water along the famous Shotover River and deep into the spectacular Shotover River Canyons. 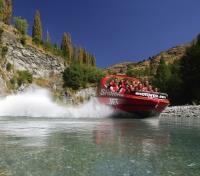 As the Shotover Canyon walls tower over you, your expert driver puts your 'Big Red' Jet Boat through the paces and skillfully whips it past rocky outcrops, skims around crags and boulders, and speeds through the dramatic and narrow canyons. Rock faces blur in your peripheral vision and the water sprays into white water crystals with every turn as you speed in your state of the vessel at up to 52 miles per hour over water as shallow as four inches deep. Make sure to hold on tight when your driver makes the signal that you are about experience the thrills of trademark 360° spins. You'll grip the hand rail for comfort and reassurance as your Jet Boat spins fully around within its own boat length and, without losing momentum, keeps speeding along the river. 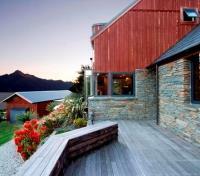 Azur, is a distinctively contemporary lodge located on a hilltop overlooking some of the most spectacular scenery in New Zealand. Set among native trees and with the stunning panoramic vistas of Lake Wakatipu, The Remarkables, Cecil Peak and Queenstown, Azur is known for privacy, discretion and serenity. 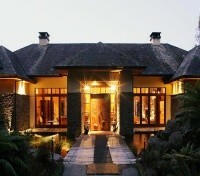 The Lodge’s nine villas were designed to let you absorb the incredible views in chic luxury and total privacy. Every design detail has been taken into account to provide guests with a distinctively contemporary New Zealand experience. You will be picked up from your accommodation in Queenstown to begin the lakeside drive which breaks from city into the lush green of Southland’s alpine farming country before heading for the unforgettable scenery of the Fiordland’s. 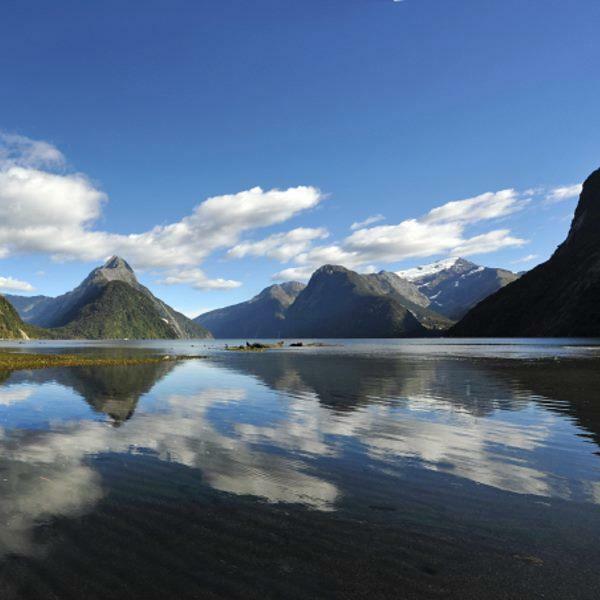 After passing along the shores of New Zealand’s second largest lake, Te Anau, continue to Milford Sound, enjoying the scenery en route which reveals extraordinary beauty at every bend. Your experienced driver-guide knows all the best photography stops; in some cases short walks uncover otherwise hidden waterfalls, small placid lakes and snow-capped peaks clad in thick native bush. Awaiting at the harbor in the fiord is a cruise vessel which you’ll board to begin a relaxing 90 minute journey of discovery in scenery unchanged since Captain Cook’s arrival. It’s a place of towering mountains, rainforests, wildlife and glorious peace and calm, all of which you’ll discover in intimate detail before being returned to your hotel. 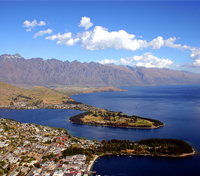 This half-day walk allows you to discover the best native flora and fauna surrounding beautiful Queenstown, all while enjoying magnificent lake and mountain views along the way. With its own micro-climate the flora is protected from the elements in this area, so the species are much larger than elsewhere. Native birds are readily seen and heard in and around the edges of the forest. Your guide will introduce you to an array of edible and medicinal plants used by Maori and European settlers through the centuries, allowing you to better appreciate and understand this remarkably beautiful region. 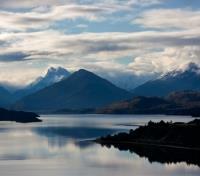 You will be privately transferred between Queenstown and Franz Josef. Approximate travel time is six to seven hours. 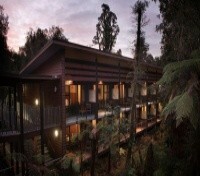 At one with nature, Te Waonui Forest Retreat is the ultimate coming together of luxury escape and environmental awareness. Great care has been taken to ensure this exceptional forest retreat steps lightly upon the earth, from the organic cotton bedspreads to its recycled local building materials. The hotel is within easy access to many excellent local attractions, including the Fox and Franz Josef Glaciers, just minutes away. Luxuriously appointed guest rooms, generously proportioned and featuring the highest standard of room amenities, such as your personal pillow menu, natural wool mattress underlay, and high speed Internet access. Dining among the trees in ‘The Canopy’ restaurant, and savoring quality local cuisine, including an indulgent five-course degustation dinner. 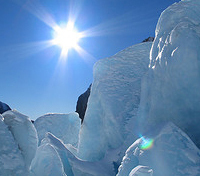 The Franz Josef Glacier helicopter tour is a once in a lifetime experience that should not be missed. After settling yourself comfortably in the chopper, your pilot will whisk you away, up and over the jaw-dropping landscape. After a thrilling flight high above the rugged terrain, you will land on the glacier and then undertake a three hour glacier hike. Your friendly guide will lead you through some of the most pristine and awe-inspiring glacier scenery in the world, choosing a route carefully as you go with an eye to bring you to the most spectacular ice formations. Soon you’ll make your way through an extraordinary land of towering peaks and glistening blue ice while enjoying panoramic views of the surrounding mountain. With plenty of photo opportunities and the chance to learn more about this magnificent glacier, this will almost certainly be you’re most memorable New Zealand experience. 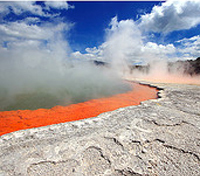 The tour also includes entry into the fabulous Glacier Hot Pools, which are located at the Franz Josef Glacier Base. You will need to bring three or four warm upper body layers (ideally woolen or polypro, not cotton), a pair of lightweight trousers, sunglasses, a water bottle, a small snack, and of course, a camera. The following items will be provided: water-proof jacket, water-proof over trousers, weather-proof hiking boots, thermal socks, beanie, mittens, a small waist bag (This is the only bag you will be able to take, and is capable of storing your water bottle, snack and camera), crampons, and extra layers if you should need them. Departure times from October through March are 8:30 am, 9:15 am, 10:55 am, 11:40 am, and 12:30 pm. During winter, departure times are 9:15 am, 10:55 am, and 11:40 am. 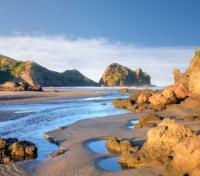 You will be privately transferred from Franz Josef to Greymouth by a professional driver. Approximate travel duration is two hours and 15 minutes. The TranzAlpine scenic train journey travels between Greymouth and Christchurch, from one coast of New Zealand to the other. From your carriage you’ll see the spectacular gorges and river valleys of the Waimakariri River fields, followed by the Canterbury Plains and farmland . Your train climbs into the Southern Alps through lush beech rain forest from the West Coast town of Greymouth. 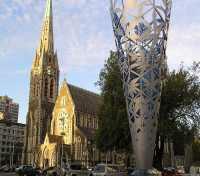 Our train journey finishes in Christchurch - New Zealand's largest city on the South Island. The trip is 223.8 kilometres long and takes just four and a half hours. There are 16 tunnels, and 5 viaducts, the highest being the Staircase standing at 73 metres. A private vehicle with driver will provide a transfer between the train station and your hotel. 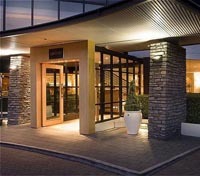 Located in the heart of picturesque Christchurch and overlooking its very own “Central Park”, this highly individualized boutique hotel is just steps away from all the city’s key attractions including the tram, arts market, upmarket restaurants, theatres and gardens. Boasting two world-class restaurants that rate amongst the best in New Zealand, visitors come from far and wide to savor the delicious cuisine in both Pescatore and 50 on Park. Regularly ranked as one of the top hotels in the city, guests are sure to enjoy the upscale amenities and service offered a The George. 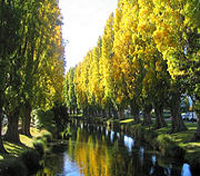 After a hotel pick-up, set out on a three hour sightseeing tour of Christchurch in a private vehicle and in the company of a local guide. During this orientation tour you will learn about the central city highlights including Cathedral Square, Victoria Square, the Avon River, Town Hall, Christ’s College, Museum, Botanical Gardens, Arts Center, Worcester Boulevard, the Bridge of Remembrance, Mona Vale Gardens and Hagley Park. 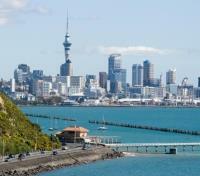 The oldest settlement on New Zealand’s south island, the city has a massive public works project underway in order to rebuild after the devastating earthquakes between 2010 and 2012, the worst of which occurred in February of 2011. Here, resilience and innovation prevails, which you’ll discover first-hand throughout this tour. A private vehicle with driver will provide a transfer between the airport and hotel.